A vulnerability discovered in Icecast streaming media server could be leveraged by an attacker to kill the broadcast of online radio stations that rely on it to reach their audience. The flaw is sufficient to trigger a segmentation fault in the server process - an access violation condition that leads to a crash. A theoretical risk exists for remote code execution. An attacker could achieve this with sufficiently long, specially crafted HTTP headers. Maintained by the Xiph.org Foundation, Icecast supports both audio and video data. Because it is available under a free software license and has support for open standards for communication, Icecast is a popular choice for creating an online radio station. A patch is included in the latest version of the software, whose changelog describes the issue as a buffer overflow that affects Icecast versions 2.4.0, 2.4.1, 2.4.2 or 2.4.3 "if there is a “mount” definition that enables URL authentication. The security bug stems from choosing the 'snprintf' function that redirects the data output to a buffer, over 'sprintf' to avoid buffer overflow issues by truncating the output if the buffer is not sufficiently large. Making this choice is not necessarily a safer bet when a specific condition is met. Nick Rolfe of Semmle Security Research Team says that the 'snprintf' function does not offer protection against buffer overflows "if you provide a size argument that's larger than the actual size of the buffer. "Follow this on OUR FORUM. I love when products are made in the USA. Don't get me wrong, I am not against things made in other countries. Hell, it is virtually impossible to live in America and not buy foreign goods. If you look at the tags on your clothes, you will almost never see "Made in the USA." But still, I take pride when a product is made here. For instance, so far in my life, I have only ever owned Ford vehicles. With that said, Ford is moving more and more of its labor to Mexico, but I digress. Computers made in America are virtually non-existent, but a little company in Denver had a dream to do just that. System76 has long been looking to make a Linux-powered computer in the USA using open source ideology. A lofty goal, which many folks didn't think would ever be achieved. Well, against all odds, today, System76 proves the haters wrong as it finally unveils its much-anticipated Thelio desktop computer. And boy, oh boy, it is beautiful. 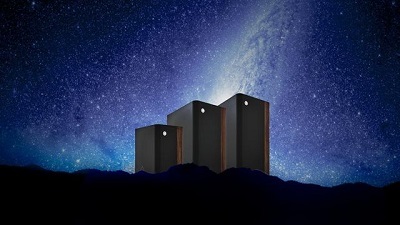 "Thelio Systems are designed to be easily expandable, making personalizing the computer a tantalizingly easy process. Slip in drives, add memory, and upgrade graphics cards at will. Additionally, the open hardware design that Thelio is built upon allows the user to easily learn how their computer works and make modifications using this information. Customization is simple to ensure that the computer encompasses people’s needs, as well as their personality," says System76. More details are posted on OUR FORUM. Kevin Backhouse, a researcher from U.S.-based security company Semmle, has uncovered six software vulnerabilities in Apple’s XNU operating system kernel, which is used in all of Apple's devices. The vulnerabilities have affected more than 1.3 billion devices worldwide. According to the Semmle researcher, the critical vulnerabilities exist in the XNU kernel used by Apple’s iOS, macOS, tvOS and watchOS operating systems. Backhouse said attackers could use these low-level software flaws to take remotely control any Apple device on the same network. The vulnerabilities exist in the kernel’s networking code and its client-side Network File System (NFS) implementation. The first vulnerability is a heap buffer overflow flaw in the ICMP packet-handling module of the XNU kernel’s networking code (CVE-2018-4407). An attacker could use this bug to run arbitrary code on a user’s machine, extract data, or cause a reboot. Backhouse also warned that because the flaw can be so easily exploited, it could be automated as a denial-of-service attack, which may then crash all affected devices on a network, potentially shutting down an entire organization. User interaction is not required for attackers to be able to take advantage of this vulnerability. 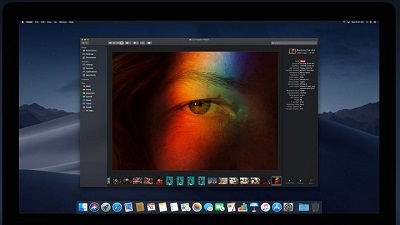 The five bugs the researcher found in Apple’s NFS implementation could also allow attackers to read, write and delete files on a user’s NFS-mounted drive, as well as install applications or wipe the device entirely. The NFS implementation bugs primarily affect macOS machines. More can be found on OUR FORUM. Microsoft releases Windows 10 19H1 Build 18272 with improved sign-in options. Things might have gone badly wrong for Microsoft with the Windows 10 October 2018 Update, but the company is working hard on the next big feature release out next spring. 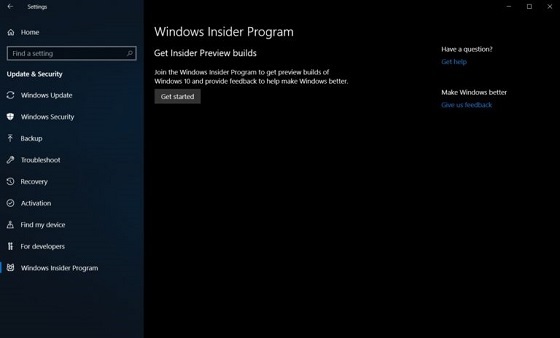 Build 18272 (19H1) pushed out to Insiders on the Fast ring today (and also available in ISO form) includes some input improvements and new sign-in options for Windows Hello. SwiftKey’s AI technology supports more languages from this build, and Indic Phonetic keyboards are now available. The Sign-in options in Settings have been simplified to make it easier for you to choose the best method for your needs. There have also been some improvements made to the Snip & Sketch app, and Sticky Notes has been updated to 3.1 with a full-on dark mode and faster syncing. Microsoft is rolling out a feature where if you right click on a group name or tile folder in Start, you will now have an option to unpin it. Currently 50 percent of Insiders will have this option. Read more: Microsoft releases Windows 10 19H1 Build 18272 with improved sign-in options. AOC monitors are a favorite of mine. While they may not be the top of the line, these reliable displays offer a lot of "bang for your buck." In other words, they are budget-friendly, allowing you to save money. If you are a system builder, you know that money saved on a display can be used towards PC components, such as RAM, storage, etc. If you want one of those fancy new curved monitors, today, AOC launches a new model. The C32V1Q, as it is called, features a 32-inch screen. While a big display is appreciated, please know, the resolution is just 1080p. While that should be OK for gaming, you might experience blurry text during general use. Personally, I don't like to exceed 24-inch with 1080p, but ultimately, the consumer needs to make that decision. "The C32V1Q is AOC’s newest curved monitor. The monitor features a minimalistic well-built design with a glossy black body, metallic silver finish and sleek curves. 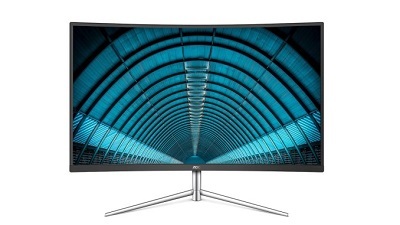 The curved ultra-slim frameless design is perfect for multi-display viewing and enables seamless multi-monitor setups designed to boost productivity. The borderless display offers a detailed 1920x1080 resolution and 60Hz refresh rate. The VA panel has viewing angles of 178 degrees, allowing users to enjoy consistent color uniformity and accuracy at all angles. The display also has a 20M:1 dynamic contrast with a 4ms response time, and features several different inputs, including one VGA, one DisplayPort and one HDMI for connectivity of all users’ high-quality digital video and audio devices," says AOC. We have more including price posted on OUR FORUM.